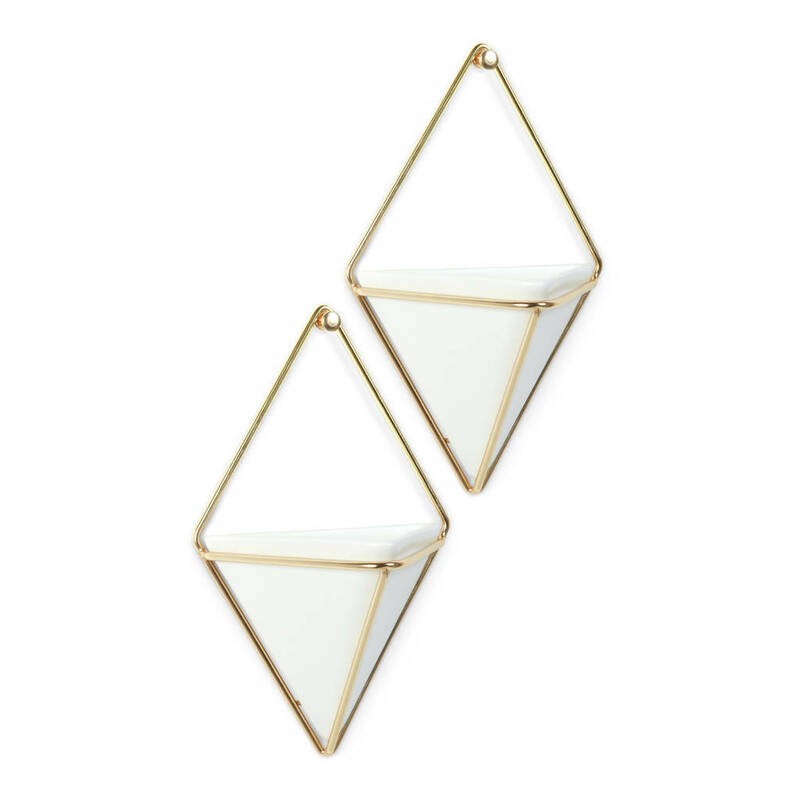 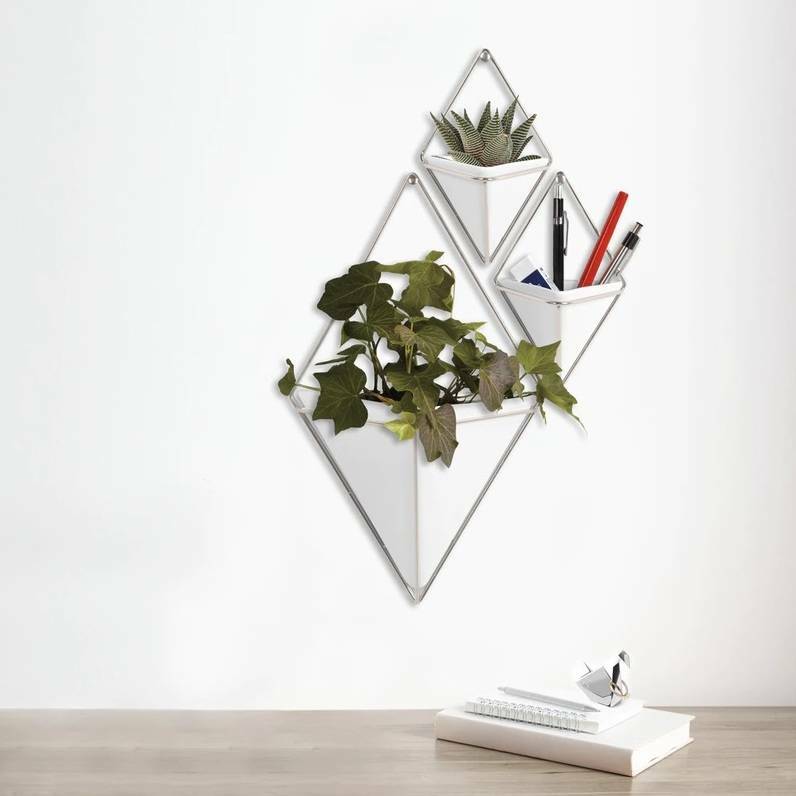 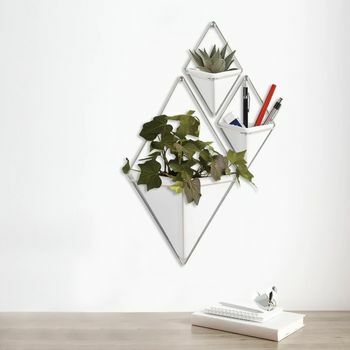 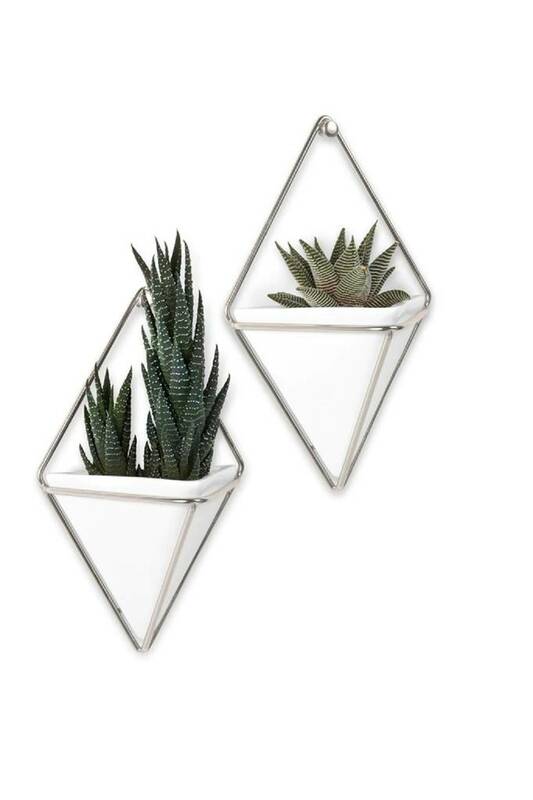 Stunning concrete geometric planters which sits on a copper wire hangers or white ceramic planters in brass hangers. 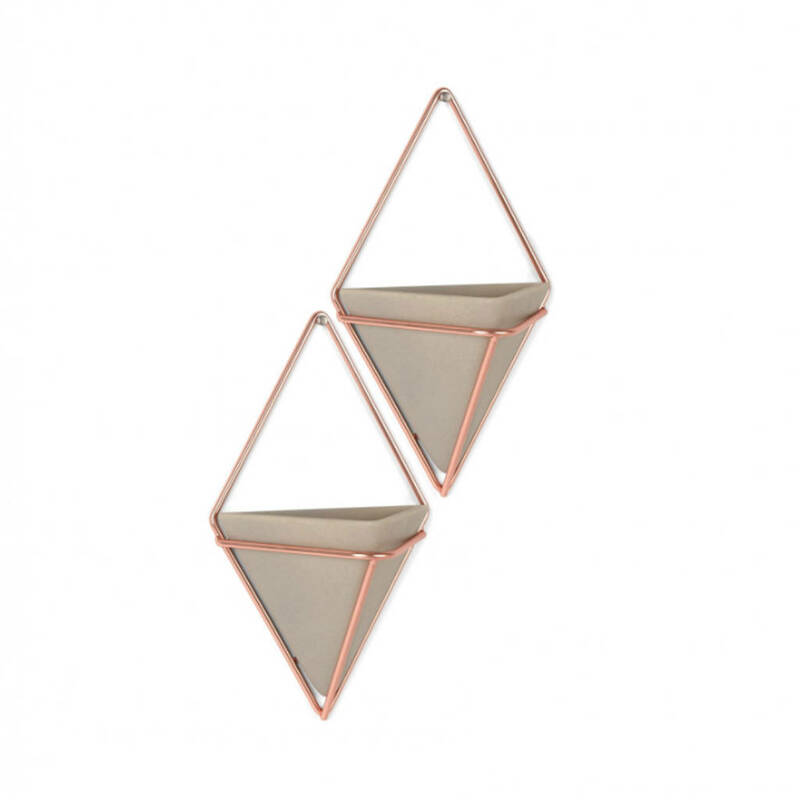 A gorgeous pair of concrete planters which sit in their own copper plated and wall-mounted metal wire frame holder. 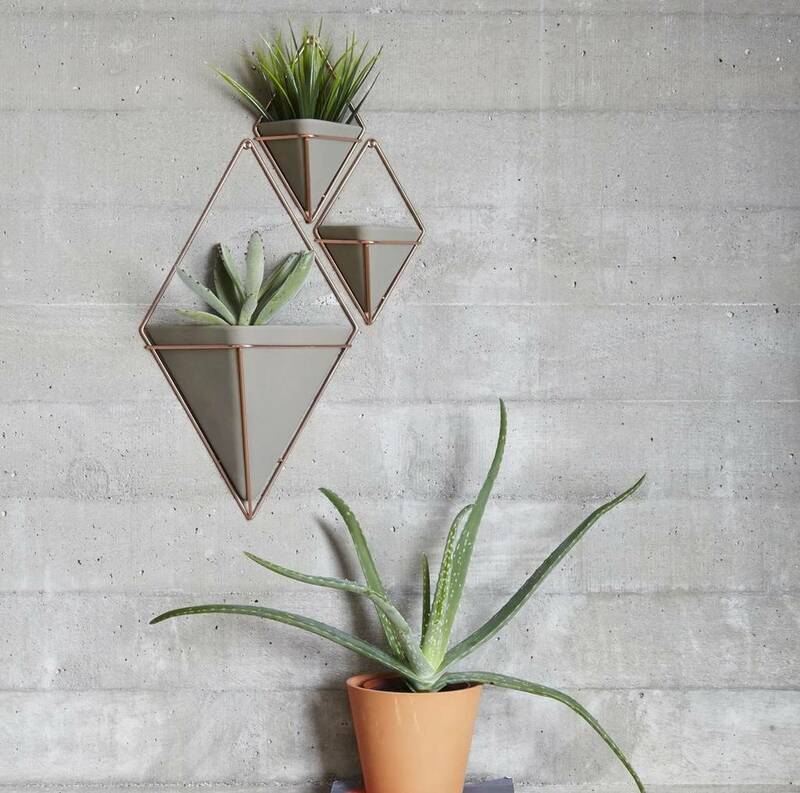 The concrete grey planter beautifully contrasts against the copper plated wire frame for a cool and on trend Scandi inspired look. 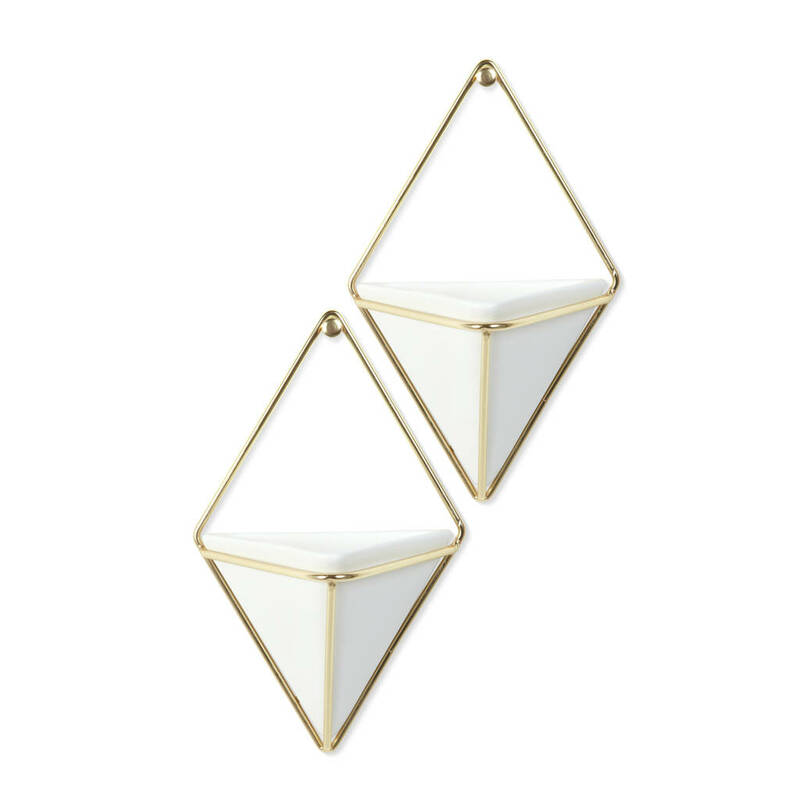 Sold as pair, this beautiful, bright and modern home accesory can be arranged and displayed in different compositions, to create a unique and eye catching wall feature. 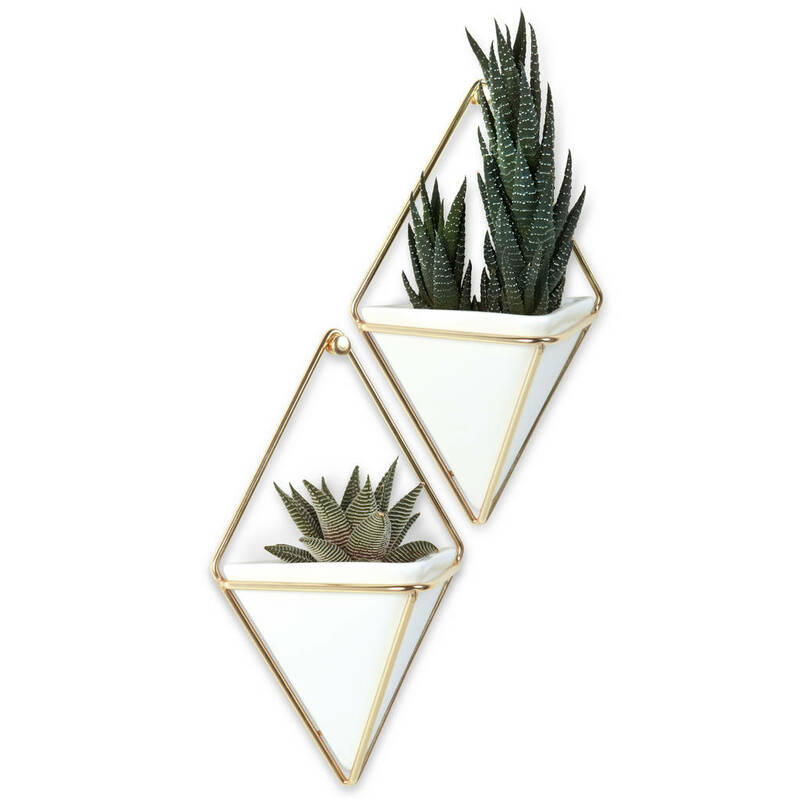 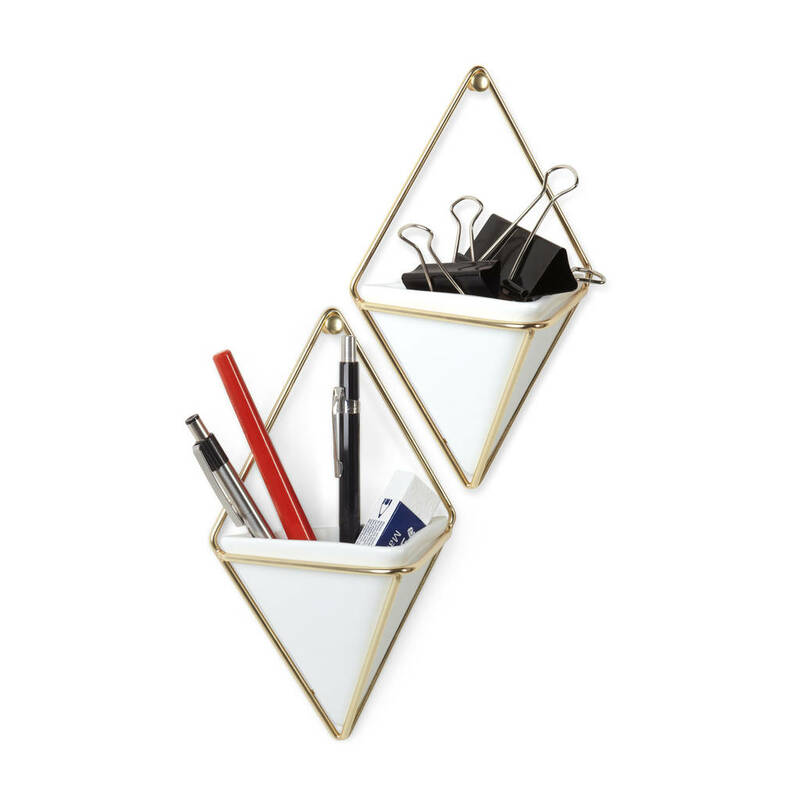 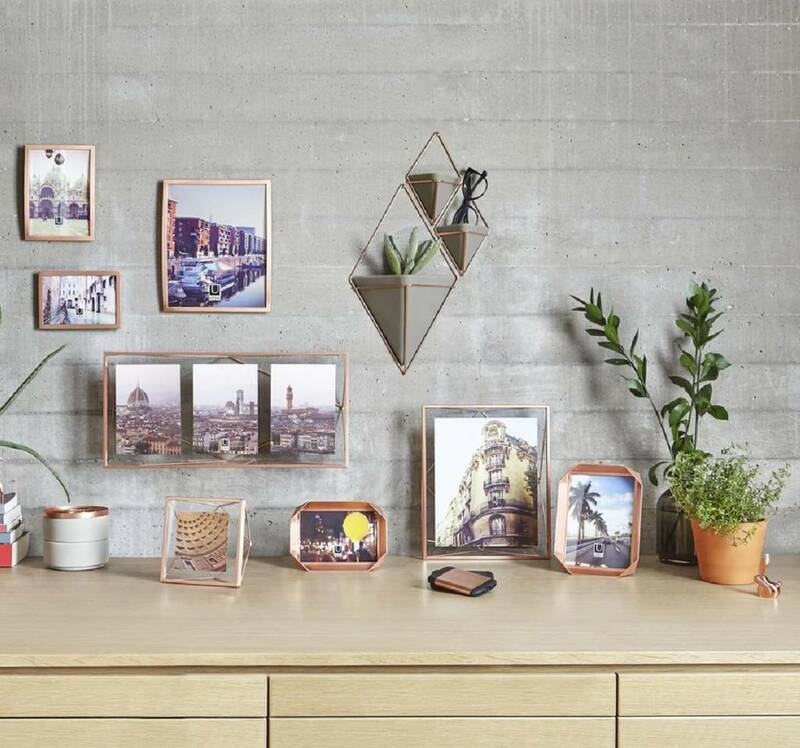 Use anywhere around your living space as a planter or as an alternative storage solution.